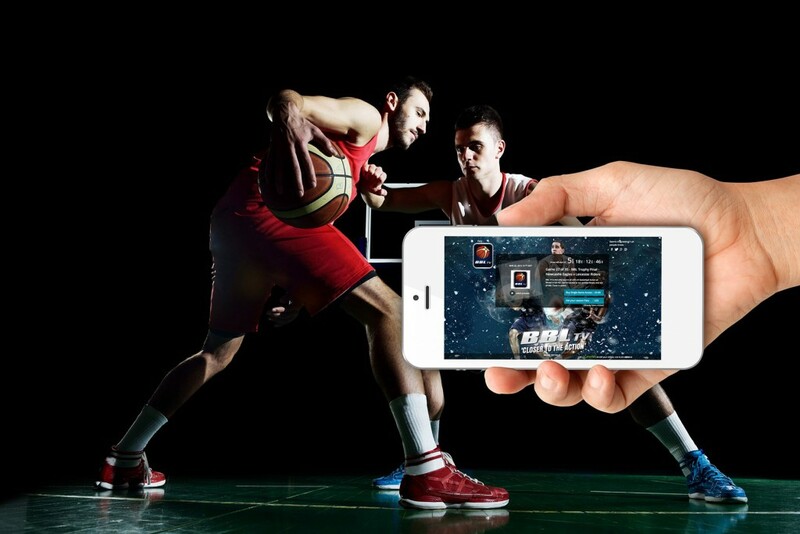 Pay-per-view events help you harness the power of global online audiences across every imaginable device. Pay-per-view is not only about setup and tech, however, but also about sales. How can you be sure your event will sell like hot buns? Fortunately, setting up a thriving Live PPV event with Cleeng’s robust monetization platform is both seamless and effortless. We have all the tools you need to brand, promote and sell on a top-quality level. Here’s a short guide that covers all of the steps that you have to put your heart and mind into if you wish your event to sell. Let’s get you started! Write exciting words about your broadcast to convince more people to watch it. Take a step back and think about what would motivate a fan or a viewer to click on the ‘buy’ button. List well-known cast member or hosts, thereby creating a feeling of exclusivity. Further, make sure the text itself is eye-catching. You can style the text and enhance it with images and links. How our clients do it:Here’s an upcoming event of Pema Chondron, a world-renowned Buddhist teacher. You can easily learn from the description of the contents of the retreat and its detailed agenda. Everyone who lands on Pema’s page immediately knows what to look forward to. We encourage you to think more about a pricing strategy than just about a ticket price. You can adjust the price according to the growing anticipation. For example, offer an attractive (and lower) early-bird price a few weeks before the D-Day, and then increase the price as you get closer to the event (it’s advisable to have your event description and teaser follow this same strategy). Yet another great way to apply selling tactics is by offering a replay after the event has finished. Thanks to Cleeng’s flexibility, you can get the most from your video assets. Offer your multiple-day events with one access pass; your customers will be watching them all, although logging in just once. Then go ahead and sell the event recording as separate on-demand videos, pricing each one differently, based on the value it brings to your audience. What are the typical price ranges we see for different types of events? -Music concerts generally shape up at between $10-$20. -Sports events can be sold anywhere between $5-$50. -Conferences and workshops can be pricey, even up to $300-$500 for multiple-day events. First, ask yourself to whom you’re selling. Are your audiences spread across the globe? If so, then it may be a good idea to create a few events and event pages in different languages, then set the price in local currencies. We offer 11 world currencies to make your event truly global. Are you targeting local audiences? No problem – we have a point-and-click geo-blocking functionality that will allow you to restrict the access to certain countries. We work together with the best OVP platforms on the market, so you can rest assured. Thanks to our seamless integration, all you need to do is to copy/paste your embed code from your platform; no tech knowledge is required. NOTE: Please remember that, before you paste the embed, you’ll need to first restrict its privacy settings on your OVP platform. This is to prevent your event from being accessed for free. We have a set of comprehensive video guides that will show you how to go about it. Add a written teaser: Make it the very best and grab potential viewers by the eyeballs. This is the first thing your viewers will see when landing on the event page. 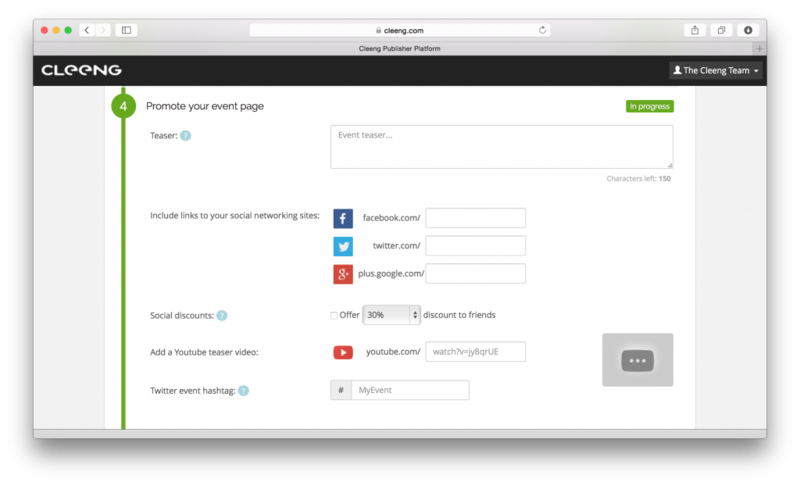 Connect your company’s website and social channels to your Cleeng event page. We will then display it under your event’s teaser. 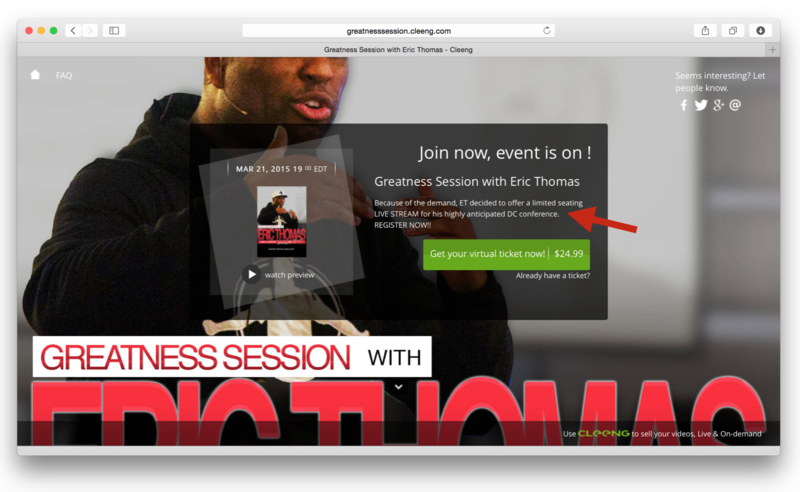 Further, all event hosted pages have social sharing buttons that make easy to the viewers to share the event with their friends. 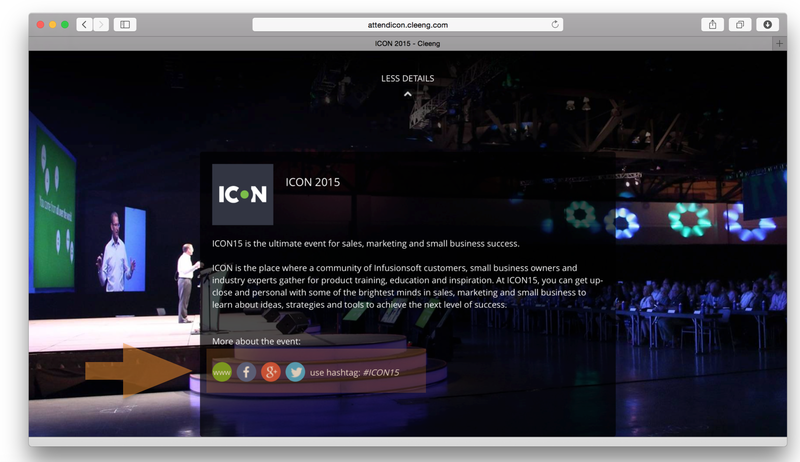 How our clients do it:The ICON 2015 conference event page is an elegant example of a hosted event page, with all social media channels added. 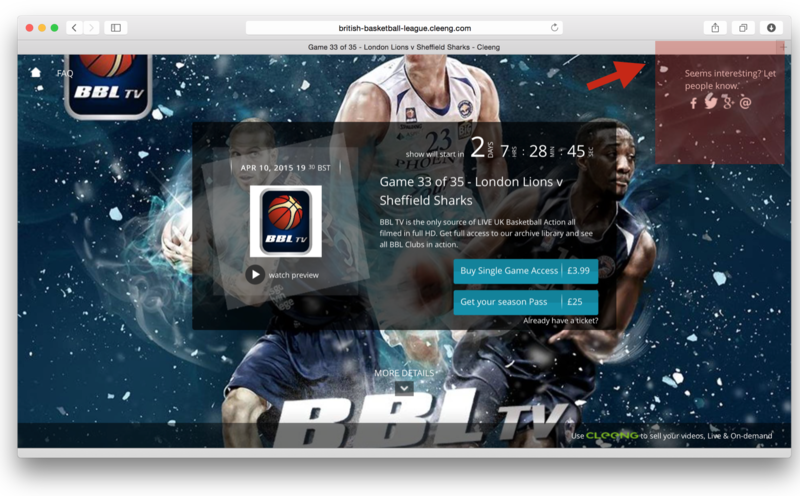 How our clients do it:Thanks to visible social sharing buttons, the BBL fans can easily share this event on Twitter, Facebook, Google + and in an email. 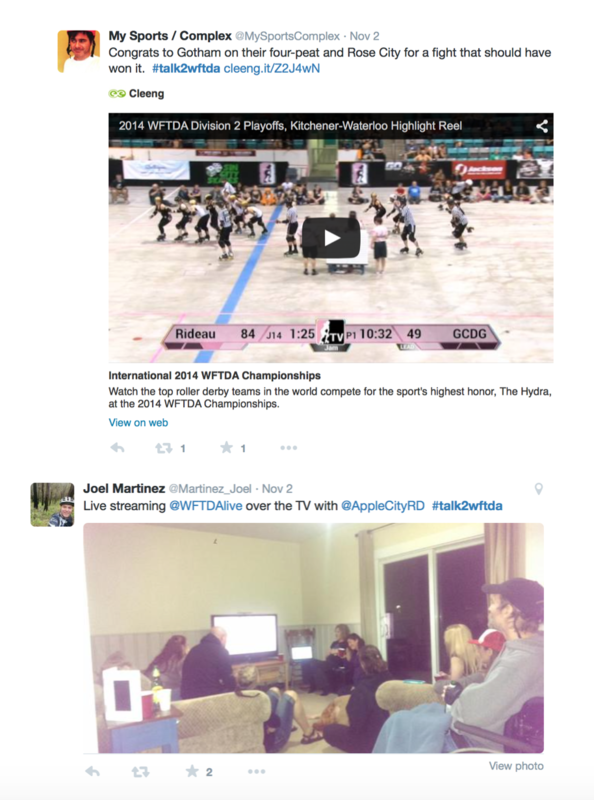 How our clients do it:The WFTDA has built amazing online community. For last year’s Roller Derby Championships the WFTDA team created a dedicated Twitter hashtag #talk2wftda, which was used by thousands of fans to share their excitement. It’s a shining example of how to keep your fans tuned in. Add a video teaser: Invest in an extra video in which you let the viewers in on what they’ll miss if they don’t buy the ticket. Make it as appealing and inviting as possible. 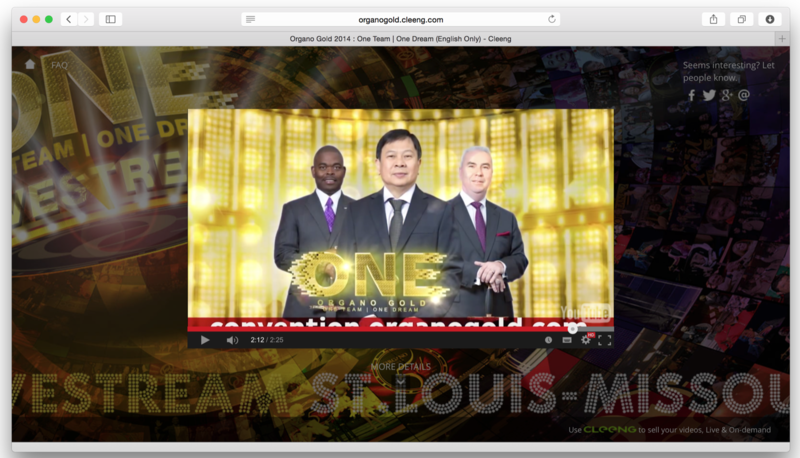 How our clients do it:Our client Organo Gold created this amazing video promo for their International Convention in St Louis in 2014. It’s dynamic, inviting and definitely makes you want to be a part of this great event. 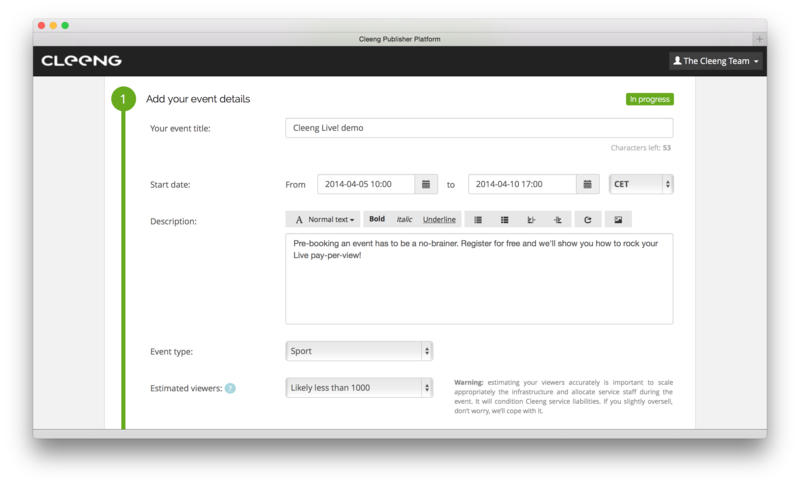 Once you hit the ‘Publish’ button, you’ll be able to further brand your event rebooking page. and a tailored color scheme. 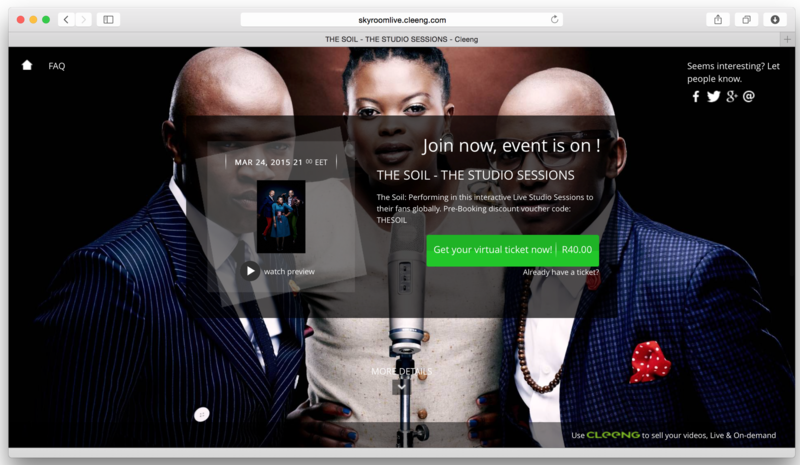 How our clients do it:Skyroom sell their music PPV events with Cleeng to promote top-notch artists worldwide. This is one of their recent events – take a note of this elegant, eye-catching background and a playful logo. Start early enough. Even if you have thousands of social followers, you still need to reach out to them personally a minimum of 2 weeks before the D-day. The typical spike in sales that happens within the last 10-15 minutes of an event and accounts for nearly 20% of all ticket sales is the result of a smart and timely promo campaign. Use the power of social media and funnel your conversation through a hashtag you created. Keep your fans tuned in and curious about what’s coming. Let them in on the live emotions gradually by adding videos, pics and cool phrases. leveraging your networks (Ask friends and supporters to spread the word for you). running competition on your Facebook page and awarding the winners with free access coupons. Those are just a few ideas that our Publishers use to sell more. I bet you can come up with many more. How else you can drive traffic to your event? 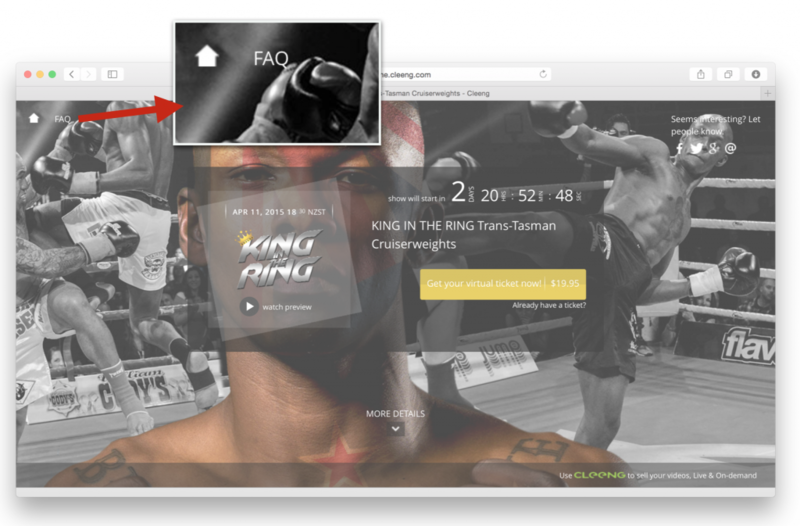 How about embedding it onto your website? You can create a sub-page called ‘Live streaming’ where you can embed your future and event replays. Next to that, you can create a landing page, optimized well for search engines, so that everyone looking for a certain keyword will find it (here’s a comprehensive guide on how to optimize your landing page). 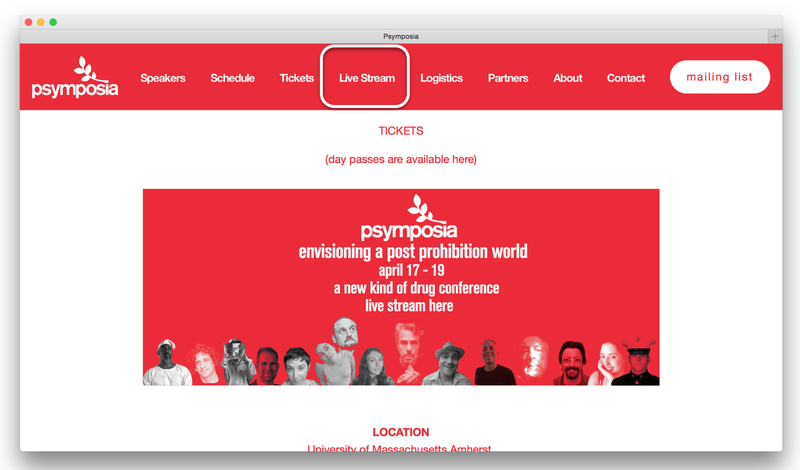 How our clients do it:By creating a ‘Live stream’ tab and linking it to the Cleeng’s hosted event page, the Psymposia conference organizers can be sure, that their viewers will know where to find the broadcast. Our friendly agents will always answer your customers’ queries within 15 minutes. We also give you a comprehensive self-help tool. By default, every Cleeng-hosted event page contains a list of the most frequently asked questions that your viewers may come up with (top left corner). 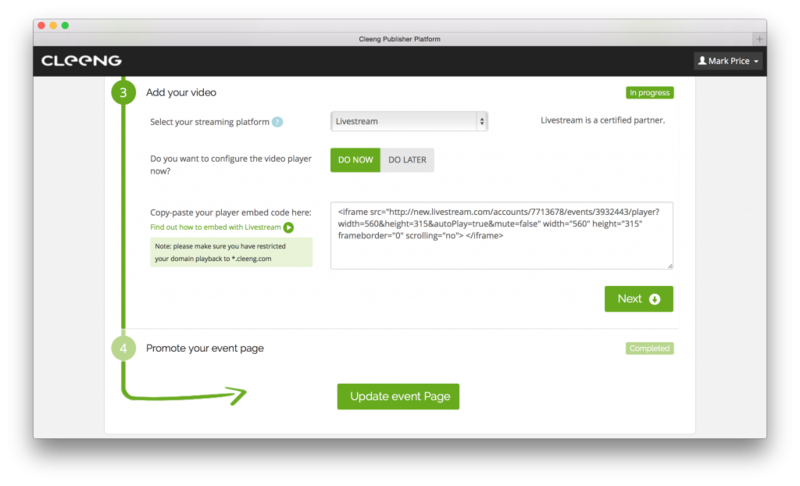 If you embed a Cleeng event into your own website: Please note that the FAQ section won’t be included, so you’ll need to make sure to link it to your website in a visible place. We have a fee tips on hoe to do it right. How our clients do it: Simply follow the example of our client below. 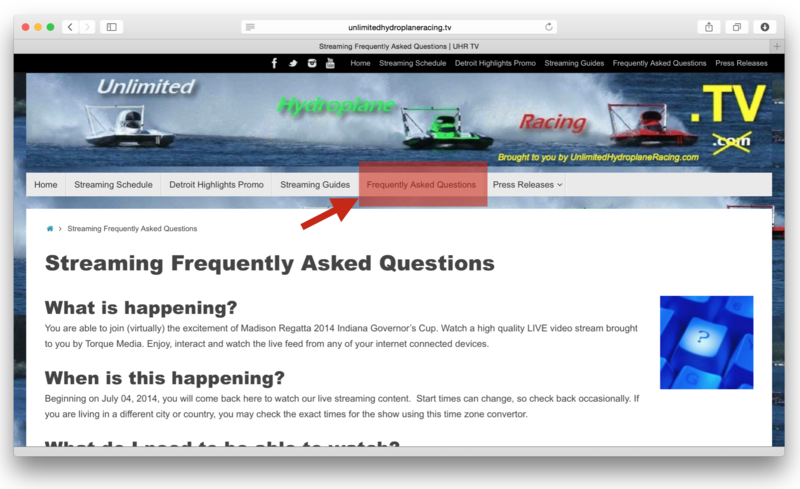 The Hydroplane Racing events were embedded into the client’s website. For the FAQ, they set up a separate page, thereby creating a dedicated support section for their viewers. Set up pay-per-view – it’s free!